A new study sheds light on just how many calories and added sugars children are drinking. Almost two-thirds of children in the United States consumed at least one sugary beverage on any given day — and roughly 30% consumed two or more a day — between 2011 and 2014, according to the study, released Thursday by the Centers for Disease Control and Prevention’s National Center for Health Statistics. On average, drinking two or more sugar-sweetened beverages a day provided more than 10% of the total daily calories among the children, said Asher Rosinger, epidemic intelligence service officer at the CDC and lead author of the study. Current US dietary guidelines recommend consuming less than 10% of your daily calories from added sugars and limiting or removing sugar-sweetened beverages from your diet. “This study is important, because consuming sugar-sweetened beverages is associated with weight gain, Type 2 diabetes, dental caries (cavities) and dyslipidemia (high cholesterol) in children, all of which have serious negative downstream health consequences,” Rosinger said. He said that the study provides the most recent estimates of the calories children are consuming from sugar-sweetened beverages. For the new study, researchers analyzed data on the consumption of sugar-sweetened beverages among children and adults in the United States from 2011 to 2014. The data came from the National Health and Nutrition Examination Survey. The researchers assessed the number of times children and adults drank sugar-sweetened beverages — such as regular soda, certain fruit drinks, sports and energy drinks, and sweetened coffees and teas — and then summed the number of calories. The researchers found that among children, 2 to 19 years old, 64.5% of boys and 61.3% of girls consumed at least one sugar-sweetened beverage on a given day. “This does not mean that all of those children exceeded 10% of their total calories from sugar-sweetened beverages,” Rosinger said. Overall, children consumed an average of 143 calories and 7.3% of their daily energy intake from sugary beverages, the data showed. The American Heart Association recommended in a study last year that children should consume no more than about 6 teaspoons, or 100 calories, of added sugar a day. The study, published in the journal Circulation, recommended that children should limit their intake of sugary drinks to 8 ounces weekly. Six teaspoons a day would be less than 10% of daily calories for most children, said Dr. Miriam Vos, an associate professor of pediatrics at Emory University and Children’s Healthcare of Atlanta, who was lead author of those recommendations. “Sugar-sweetened beverages are still the top source of added sugars for children in the US and cause unhealthy weight gain,” Vos said. “We still have a long way to go in ensuring health for children by reducing consumption of added sugars,” she said. The new study showed differences among age and ethnic groups. Older children, ages 12 to 19, consumed more sugar-sweetened beverages on average than younger children, according to the data. The researchers also found that non-Hispanic Asian children consumed the least amount of calories from sugar-sweetened beverages on a given day, compared with other groups. The findings provide “the first nationally representative estimates of sugar-sweetened beverage consumption for non-Hispanic Asian children,” Rosinger said. As for people 20 and older, the researchers found that about half — 53.6% of men and 45.1% of women — consumed at least one sugar-sweetened beverage on a given day from 2011 to 2014. The data showed that, overall, adults consumed an average of 145 calories and 6.5% of their daily energy intake from sugary drinks. Young adults had the highest mean intake, and non-Hispanic Asian men and women consumed the fewest calories from sugary drinks. The American Beverage Association indicated in its statement that it has launched various initiatives in an effort to encourage healthy calorie intakes among Americans. “We are committed to being part of real solutions to public health challenges with initiatives like Balance Calories, which aims to reduce sugar and calories consumed from beverages across America. We also have voluntarily placed clear calorie labels on the front of every bottle, can and pack we produce. Through our School Beverage Guidelines, we voluntarily removed full-calorie sodas from schools, replacing them with a range of lower-calorie and smaller-portion choices,” the statement said. 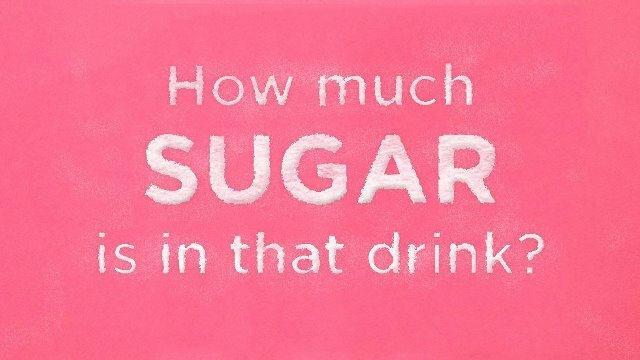 In 2009-2010, six in 10 children and five in 10 adults in the US drank a sugar-sweetened beverage on a given day. On average, youth consumed 155 calories and adults took in 151 calories, according to the CDC.